What: $2 Cupcakes from Cupcake Wars Winner, “One Sweet Slice”– all proceeds benefitting the Utah Food Bank. 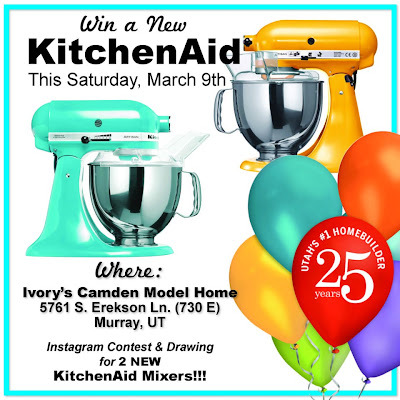 drawing for another Kitchen Aid Mixer!Join Ivory this Saturday in Murray from 11 AM - 7 PM for a chance to win a New KitchenAid Mixer!!! 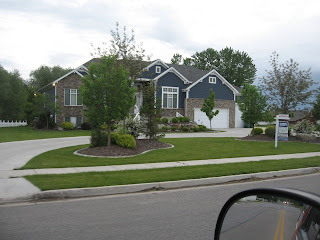 Participate in our Instagram Contest at our award winning parade model and enter for the drawing! One Sweet Slice cupcakes from Cupcake Wars will also be there!!! All proceeds from the $2 cupcakes will benefit the Utah Food Bank! We would LOVE to see you there! 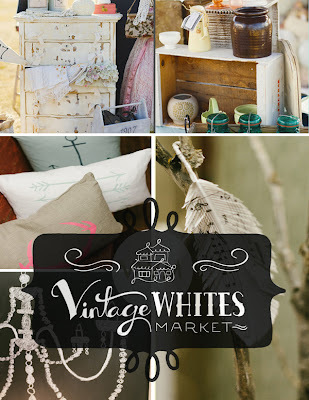 So excited to be attending the Vintage Whites Market. 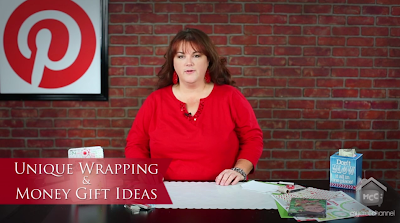 My friend Jennifer from 3 Reed Dotters told me about this and she's decorating a bunch, so I cannot wait to see what she and the other vendors have in store for all of us. I'll be taking down a truck load of fun ladies and making a day of it. Scroll down to find out more details about this fun event! Looking for a fun & unique vintage market to attend in Salt Lake City? Come to the Utah State Fairgrounds on March 9th from 10-5 to shop Utah, Montana, Idaho, & Washington's best vintage & antique vendors! 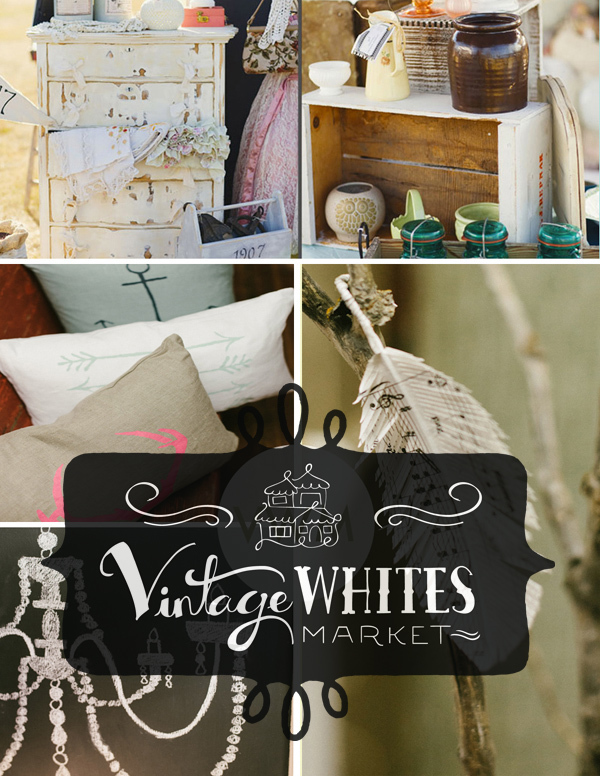 The Vintage Whites market will feature live music, great food & drink, a photo booth, classes (calligraphy with Melissa Esplin, chromatography, interior design, clay & chalk paint, and floral design), magazine signings by FOLK Magazine, and a vintage fashion show with Ruche! There will be vendors specializing in furniture, decor, antiques, clothing, and architectural salvage! We couldn't be more excited. 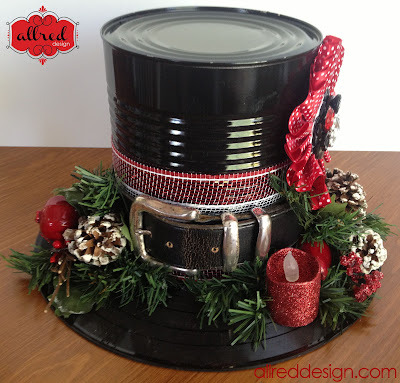 We've worked hard to bring you an event that is more fun than your typical antique show! $5 admssion (kids 16 and under are free) AT THE DOOR.